How many times have you adjusted your office chair today? How many times have you gotten up from the uncomfortable chair to stretch your legs? Maybe you are getting lower back pain from the chair and thought of consulting a physiotherapist. 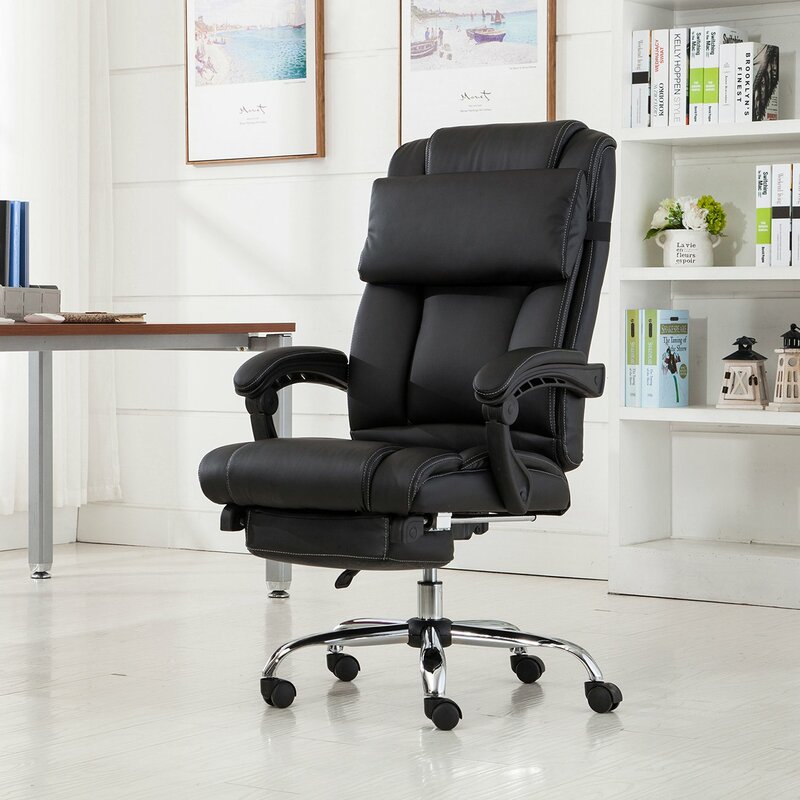 Instead of looking for medical help look at the best reclining office chairs reviewed here. You can buy the stool in different shapes, sizes, with various materials from leather to fabric. If you have an office job and handle a computer, you need to have the correct body posture to prevent damage to your backbone. So make sure to read the article and find a suitable office chair to sort out the problem for the office and home. 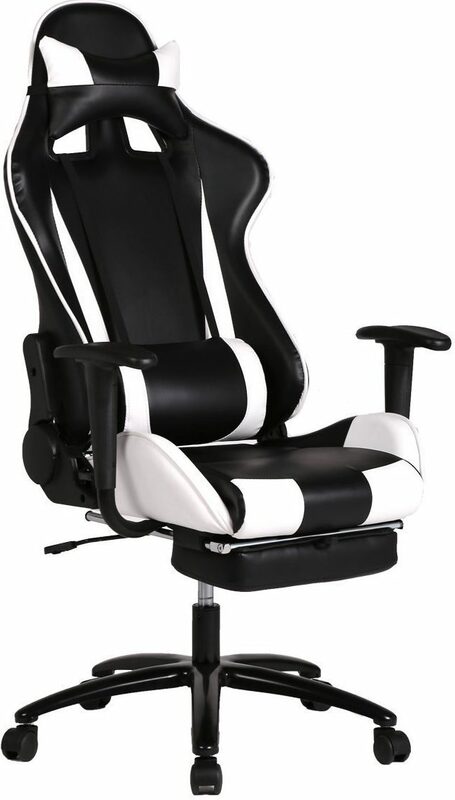 For sitting hours in front of the computer, you need the CMO office chair to keep the spine in shape. For a relaxed seating, the interiors padded with PU foam and come with a T-shaped armrest you can adjust. Lay back with your head in the leather headrest, relax a while, and move around with the casters. Adjust the height with the built-in tilt mechanism and lock it into place and the lumbar support you can remove if needed. 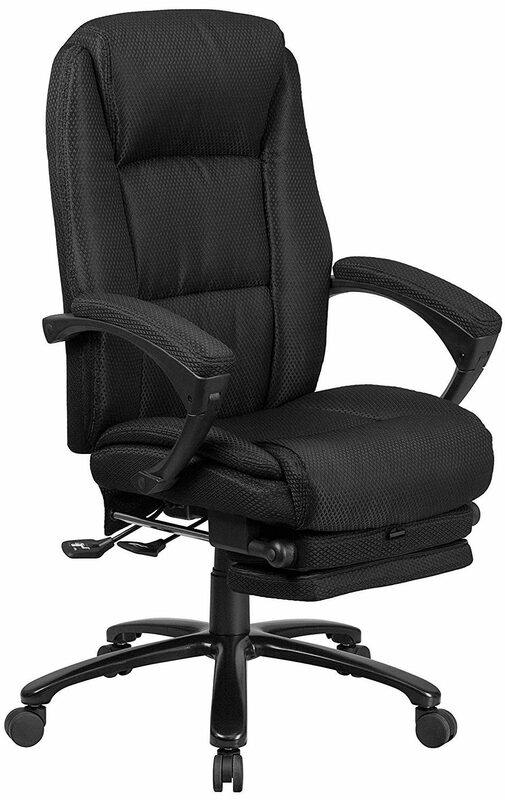 The executive chair will keep your head comfortable when pivoted in any position and removable. You can raise your arm height to 30-inches and carries a weight up to 300 pounds. 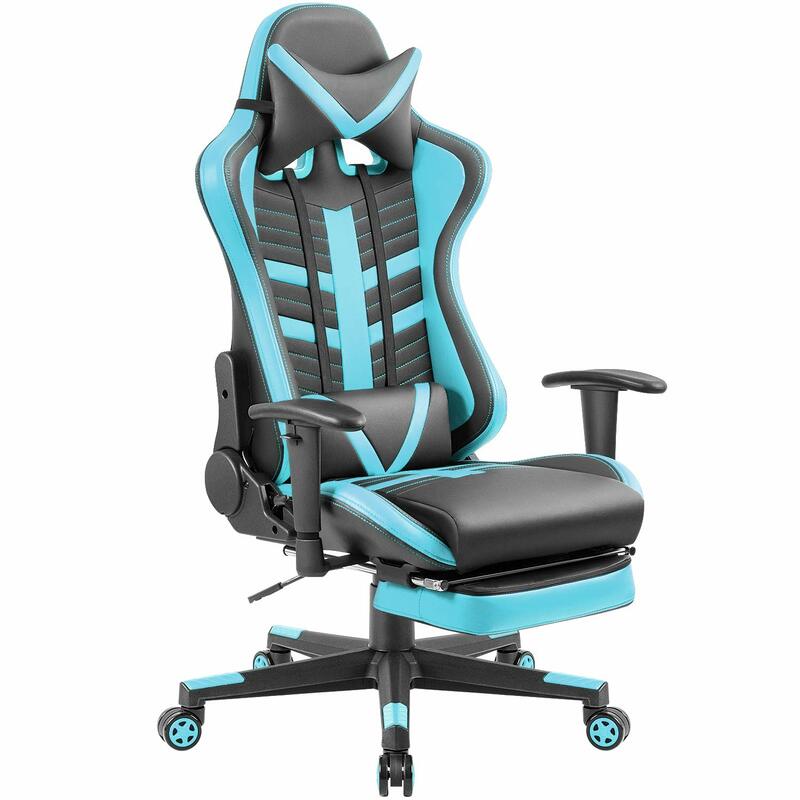 So if you own this chair, you will have no problem sitting in front of the PC for 24-hours. The headrest pivots and the lumbar support removable as well. The seat width is 20-inches, and with the mesh backrest, it keeps your back well ventilated. 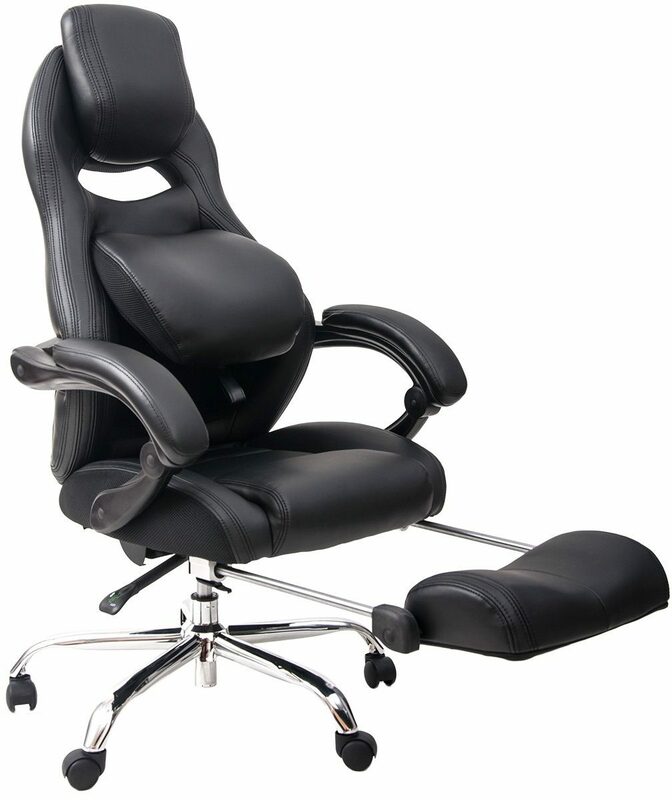 BestOffice is a leader in manufacturing reclining office chairs. The seating is reliable and offers desirable features. The fantastic thing is it is versatile to use as an executive, gaming, or managerial chair. The style fits in with most office and home décor. The max load is 250 lbs and comes with a 360-degree swivel. You and adjust the arm heights and the seat raises and lowers with a lever. Further, you can tilt it back to 180-degrees to enjoy a nap. The bucket seat is comfortably padded and great for long hours of sitting. You will be amazed at the comfort it offers from the back seat to the armrest. The seating area is 21.6-inches wide with a depth of 19.6-inches. What makes it not so great is the armrest you cannot adjust to accommodate the ideal height at a desk. 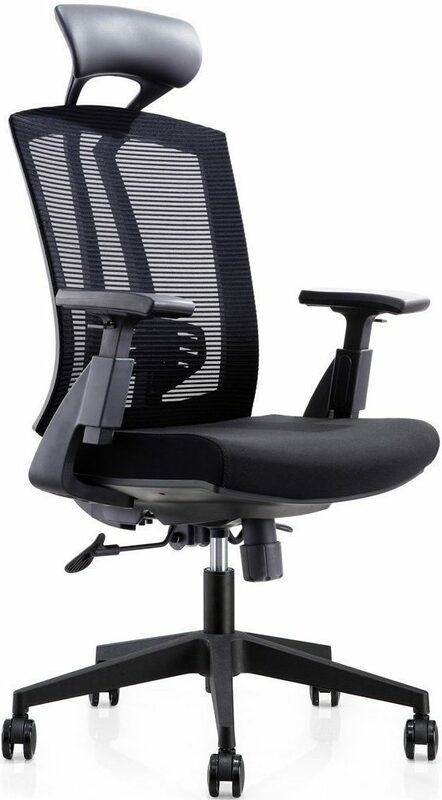 For working comfortably, you can change the height of the backrest and headrest. So go ahead and check out the five color styles to fit in with your home or office décor. The reclining chair from FURMAX you can buy in a variety of colors. The material used makes the chair durable to use a long time. The leather construction gives it style, and it has a sturdy steel frame. You can use the gaming chair anywhere and elevates to provide you the best height to tackle anything. With the different shades available, it fits in with any décor. For working long hours, the bucket seats comfortable and offers lumbar support. The footrest pulls out, and you can flip the chair over for a relaxing nap. The furniture piece swivels and moves smoothly with the caster wheels. The weight capacity is 310 lbs and to make it even better you get a 30-day money back guarantee as well. The biggest complaint is the footrest sits a bit low for short people. With the reclining office chairs, you can enjoy multiple adjustable angles, heights and more. With the back paddle control, you can sit upright or lay down for a nap. The footrest is retractable when not needed and offers a comfortable resting place for the feet. The backrest and seat comprise of PU leather with ample ventilation, and the armrest has a padded construction. Further, it has a swivel leg with double-wheel casters and sturdy nylon base. 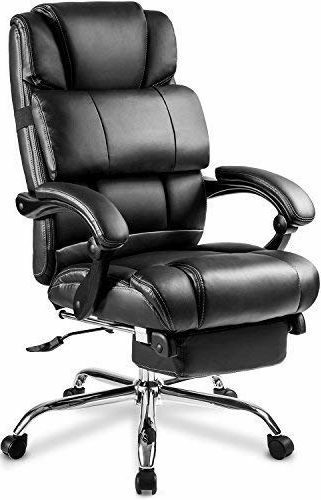 Whether you need to handle multiple tasks or enjoy gaming, nothing is more comfortable than this executive chair. The leather pillows detachable and comes with attractive side panels for ventilation. Also, the seat adjusts, and it looks sleek standing anywhere. Moreover, the seat width is 21-inches with a length of 21-inches. Furthermore, the weight capacity is 300 lbs, and it comes with a hardware set included. If you have the money to spend, the reclining gaming chair from GTracing is worth every cent. The chair offers you fantastic lumbar support with good posture. You can use it for multiple uses from the office to the home. For gaming, you can kick out the footrest and sit back for a long gaming session. No matter what your shape or size the chair can hold a weight up to 330 lbs. In contrast, the only problem users have with the furniture piece is the welding as it comes to loose. However, to make up for the mishap, you get a one-year warranty included. Not to mention, the five-point base offers a safe seat, and you can move around quickly with the caster wheels. 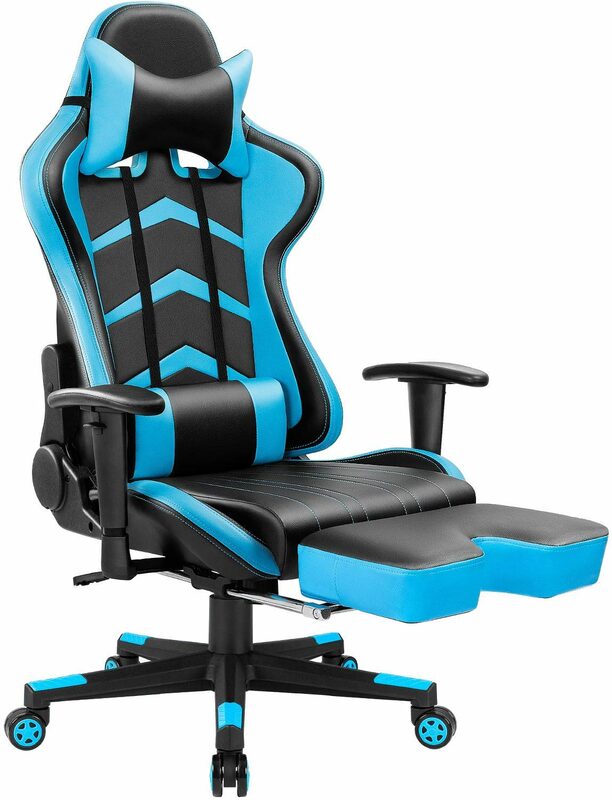 You can remove the lumbar support and adjust the backrest to 170-degrees. The next reclining office chairs have a sports car seat that is comfortable to sit in for long hours. Also, the leather cushion is fade resistant and available in vibrant colors. In fact, you can get the furniture piece in five different shades. The footrest adjusts to accommodate various heights. Further, you can recline the chair to different angles to keep a good posture or take a nap. The armrest has thick padding making it comfortable to work at the desk. The lumbar cushions adjustable and for safety, it has a reclining lock mechanism. The rolling wheels move silently over any surface and come with a smooth finish. The backrest adjusts for comfort to 180-degrees and the backrest cushions removable. The following swivel chair has a contemporary reclining design and comfortable to sit in for hours. Plus, The black upholstery fits in with any décor at work or home. Indeed, the back is high to rest comfortably while the headrest offers fantastic support. Therefore, you have full control over the back paddle to give you utmost comfort. The inner-coil spring cushion with swivel seat allows you maneuverability at the desk without getting up. Moreover, the footrest slides out to pop up to rest your feet, and you do everything with a push button. In addition, you can go from sitting to a lying position to relax getting the best of both worlds. You can adjust the seat to perfect height with the adjustment lever so if the old chair in the office or homes shabby make sure to check this model. The reclining office chairs from Homall you can buy in a red/black design. Indeed, the backrest adjusts to 180-degrees and comes with a vertically adjustable armrest. Additionally, there is no need of standing up with this chair as it has a swivel base. Also, the headrest pillow and lumbar cushions removable and adjusts with a knob. The chairs verified by BIFMA and UL as it has a Class-3 explosion-proof gas spring. Moreover, the frameworks durable with steel and padded with density foam. The upholstering is PVC leather, and it has a loads capacity of up to 330 lbs. 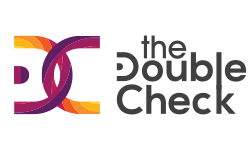 Furthermore, you get a one-year warranty included. 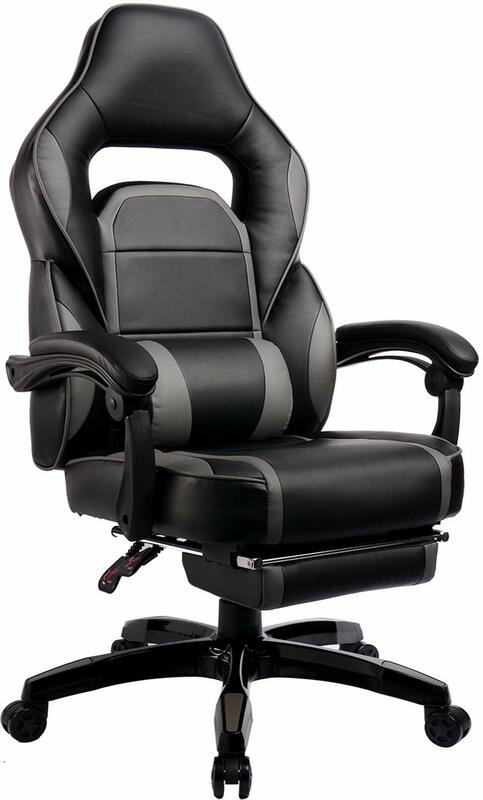 Do you need an office chair or one for gaming or relaxing at home? The MERAX is one of those chairs that offer you more than just a good posture. The black color fits in with any interior made of PU leather around a soft foam cushion for comfort. In addition, the lumbar support fantastic and the fabric are breathable. The chair supports the head, neck, lumbar, arms, legs, and safe to sit on all day with the durable metal base. Moreover, ou can customize your seating position with the adjustable height and leg rest. Not to mention, the all-in-one multipurpose chair will fit all your needs and comes with a 170-degree reclining. Even assembling the chair is easy but there have been complaints about the height adjustment. 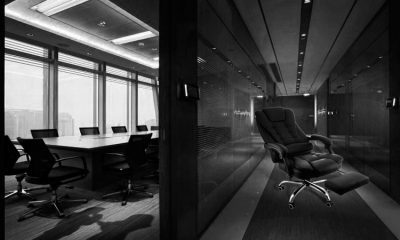 For the best reclining office chairs, we hope you find a suitable one on the list to fit all your needs. One thing is no matter which chair you choose you are making a good investment. Each furniture piece offers you durable features, affordable prices, and comfort to use in the office or home. The important thing is to make sure the chairs made for your requirements as some offer adjustable height, lumbar support, padded armrests and more. Others provide you durable material with smooth wheels, and you can sit in an upright position or lay down.